Sony has release a brand new action-packed clip for Venom. 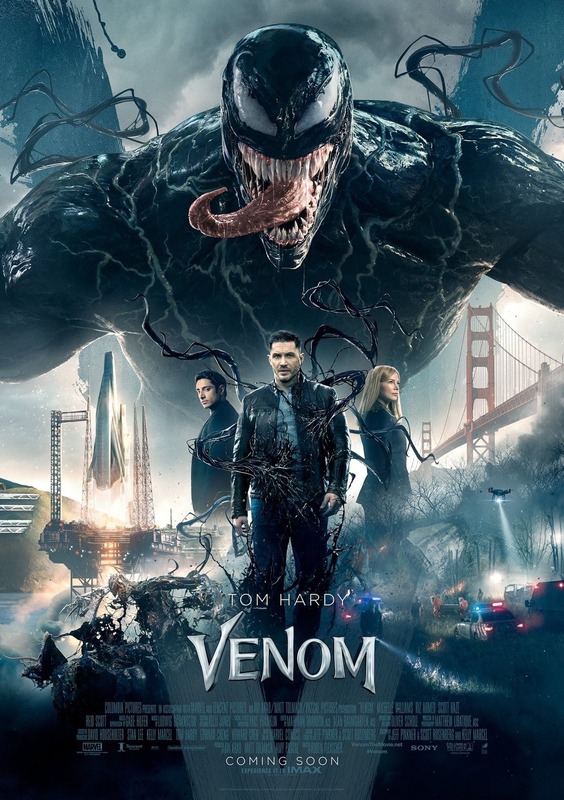 Directed by Ruben Fleischer, Venom follows Eddie Brock (Tom Hardy), a local reporter who comes into contact with an other-worldly parasite that takes him as the host and turns him into a violent killing machine who is neither good or bad. This film has had a tough road to being made, but it’s finally here and being one of the most popular characters in the Spider-Man universe, all we want is him to have justice following the disappointment that was Sam Raimi’s version. I don’t watch official clips that are released for movies, mainly because I’ll be seeing that same scene in a bigger context play out while I’m sitting down to watch the movie. Every movie has clips released, some are more mysterious and others, sadly, just show way too much. I’m not saying this specific clip is the latter, but it makes me wonder why this scene has been released. Is it too just keep the public interested with it being only a week away or has this specific clip been released to get people on board? From what I’ve heard, the footage is badass. It shows Venom in full glory, which is what everyone wants. But wouldn’t we as audience members want to see that in the movie and not beforehand? It makes me wonder if Sony is a little worried about how this movie will perform, leading to them releasing a big action clip from the movie. I understand that marketers sometimes choose what’s shown, but if that’s how Sony is approaching it right now, it could mean some tough times are coming in the next few weeks. I want Venom to be as insane and awesome as some others want it to, don’t get me wrong, but I have a hard time trusting Sony at this point after the constant mistakes they’ve made in the past. We’ve been let down so many times before that it’s hard for me to get excited until I finish the movie. I’m going on with an open mind, as I always do, but I won’t be surprised if I walk out of the theater next week with just a so-so experience. Check out the new clip below, and please head down below and leave your thoughts in the comments! Am I wrong? What do you think of them releasing this clip? What kind of expectations do you have for the movie? Starting Tom Hardy, Riz Ahmed, Michelle Williams, Scott Haze and Reid Scott, Venom slashes its way into theaters next week on October 5th.